Our range of agricultural products has been built up over the past 24 years using our experience and customer demand as a guide to ensure we always have the products you need; in stock & ready for delivery when YOU need them. 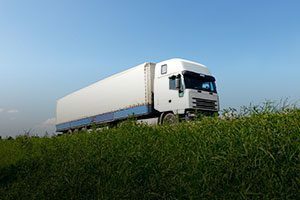 Whether its crop packaging, animal nutrition, dairy supplies, galvanised gates, feeding equipment or handling equipment you can be sure we have you covered. Our FREE delivery service to account customers is just another benefit we offer you. Our website displays only a small snapshot of the wide range of products that we keep in stock. So if you can't find what you're looking for it doesn't necessarily mean that we can't supply it. We like speaking to people, it's all down to our traditional values, just give us a ring on 01420 83254, it's almost a certainty that we will either stock it, or if not we will be able to order it in especially for you. Our business has always been focused on meeting the growing needs of the equestrian world. 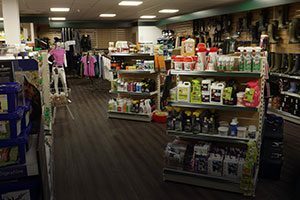 We have a fully comprehensive range of horse food; bedding and supplements as well as an ever increasing range of tack, rider wear and rider safety products. In addition you can find all the products you need to maintain your paddocks, fencing and yard. Our FREE delivery service to account customers is just another benefit we offer you. Our website displays only a small snapshot of the wide range of products that we keep in stock. So if you can't find what you're looking for it doesn't necessarily mean that we can't supply it. We like speaking to people, it's all down to our traditional values, just give us a ring on 01420 83254, it's almost a certainty that we will either stock it, or if not we will be able to order it in especially for you. Since 1992 we have built up an expansive range of wooden posts, stock wire, tools & fixings so that we are now a one stop shop for contractors & end users alike. We also stock a large range of electric fencing products for both professional and amateur use. Our FREE delivery service to account customers is just another benefit we offer you. Our website displays only a small snapshot of the wide range of products that we keep in stock. So if you can't find what you're looking for it doesn't necessarily mean that we can't supply it. We like speaking to people, it's all down to our traditional values, just give us a ring on 01420 83254, it's almost a certainty that we will either stock it, or if not we will be able to order it in especially for you. We hold a wide range of popular brands of food such as James Well Beloved, Gelert, Chudleys & Skinners to name but a few. We also hold a wide range of treats, toys and accessories making it easy for you to keep your pets happy and in good health. Our website displays only a small snapshot of the wide range of products that we keep in stock. So if you can't find what you're looking for it doesn't necessarily mean that we can't supply it. We like speaking to people, it's all down to our traditional values, just give us a ring on 01420 83254, it's almost a certainty that we will either stock it, or if not we will be able to order it in especially for you. Come and check out our new 2,500 sq ft showroom and discover the vast number of new products we have to offer. We have our very own delivery vehicles enabling us to offer a delivery service on stock items. Looking for a bargain? Got some questions? Check out our offers & upcoming open days online and be sure not to miss a thing. Exceptional savings & valuable advice available.